From Defiled to Wild—Can a Spent Coal Mine Be Reborn as a Nature Conservation Center? When the coal ran out in Kentucky’s first mountaintop removal (MTR) mine in the early 1990s, the site met a fate that has become common: The property owner filled the gouged, barren land back in with the material hacked off during mining, in accordance with a 1977 law meant to turn spent mines into cropland, pasture or some other means for local residents to make a living. But like most reclaimed MTR mines, this one wound up as unused expanses of brush with still-contaminated streams flowing nearby. Wildlife biologist David Ledford wants to change that picture and turn the mine in Bell County, Ky., into something closer to what the law envisioned, hopefully improving both the environment and the local economy. So Ledford is assembling the Appalachian Wildlife Center—a nonprofit wildlife viewing, research and education facility—on 12,500 acres, 4,500 of which are reclaimed mine. He hopes that when it opens in 2020 it will, as he puts it, “kick off economic diversity based on conservation instead of coal mining.” But the project faces substantial and complex challenges, including uprooting tenacious invasive plant species the mining company planted as an easy way to stop soil erosion. And the land will not be completely restored to its original, forested state. 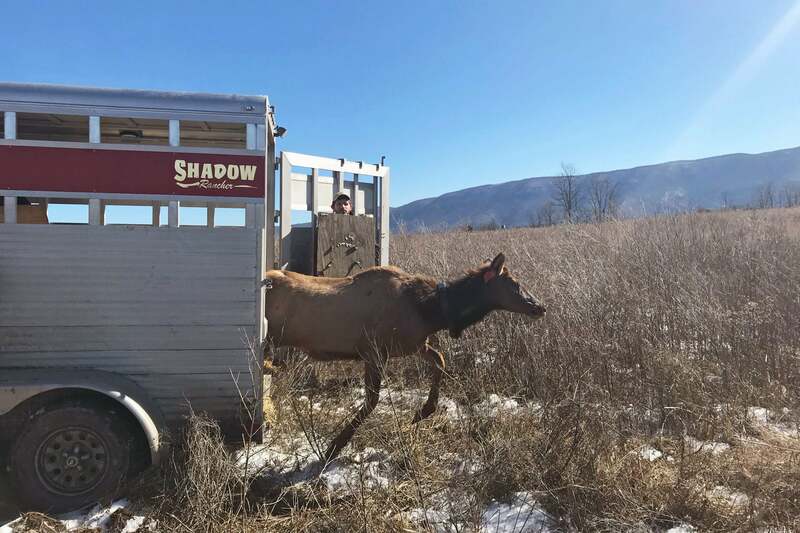 Instead, Ledford is installing grasslands to host valuable game species that never used to live in the immediate area, including elk and quail. Water pollution will also be left unaddressed. Ledford wants to refashion this former mine into a new kind of venture to stimulate the local economy. * This means he will not be trying reforestation, the most common MTR revival tactic. Because his approach to landscape management is relatively untested, restoration experts are unsure how much good it will do the local ecosystem. But some hope it could at least improve on the conditions mine owners have left in their wake across Appalachia—and maybe even advance other little-tried MTR remediation strategies that might deserve attention. Although only about 20 mountaintop removal coal mines operate now, they once dominated Appalachian mining. To get at buried ribbons of coal, miners blasted away rock with explosives and dumped the rubble into nearby valleys. There the debris still leaches lead, manganese and other toxic heavy metals into nearby streams. After the coal seams were depleted the site was left flattened, carved with dirt roads and stripped of vegetation. Mining companies have been required to replant MTR sites since the 1970s, in an attempt to keep dirt in place and reduce water pollution. But much of the region’s water is still laden with chemicals, and remediation efforts have been spotty. As of 2010 only 6 to 11 percent of Appalachia’s former mines had been converted into other profitable projects, according to the latest statistics available from the Natural Resources Defense Council. Ledford says his restoration will address some of this environmental legacy, but is prioritizing another lingering post-mining problem: financial distress. The region lost more than a quarter of its coal industry jobs between 2005 and 2015, and many central Appalachian counties qualify as the most economically distressed in the nation. By fostering grassland that supports more game animals, birds and other wildlife than it does now, Ledford thinks he can attract paying visitors, such as families on nature-oriented day trips. He also plans to offer university research teams plots on his land to test other potentially profitable remediation options, such as orchards and vineyards. The project has raised $35 million so far from donors and the U.S. Office of Surface Mining and Reclamation Enforcement. Construction for the visitor center began in June. But there is still the issue of forest, not grassland, being the original wildlife habitat in these eastern Kentucky mountains. Because of this—and because of the money that can be made from logging—most mine remediation has so far focused on reforestation, notes Jennifer Anne Franklin, a mine reforestation researcher at the University of Tennessee. Restoration expert Chris Barton at the University of Kentucky says he prefers reforestation because it can also bolster native wildlife; his nonprofit organization, Green Forests Work, has replanted 3,000 acres of former mines with native forests. Not all of the plants Ledford will use to support his game will be the grassland natives that Franklin would prefer, however. This is because Ledford needs plants that can compete with the aggressive, invasive ones that mining companies chose because they grow quickly with minimal maintenance and hold down the soil. They also push out native plant species, along with local wildlife that depends on them. One species Ledford is up against is Sericea lespedeza, a flowering legume. It is so regenerative that chopping up its roots only makes new bushes sprout. Ledford will largely rely on herbicides donated by chemical giant Monsanto to kill the invasive plants, and it will be an ongoing process to keep them at bay and promote a healthy mix of vegetation. Barton says this is where going the reforestation route could help, because native trees have extensive root systems that keep the unwanted plants at bay. Grassland would likely need continual help pushing out invasive species, says Rebecca Swab, director of restoration ecology at a private Ohio conservation park called The Wilds. There is one relic of the mining days Ledford has only limited plans to address: water quality. Water contamination is expensive to clean up and the center is probably not legally required to do so; recent measurements of key pollutants in the Cumberland River, which abuts the facility, fall within mandated limits. Besides, Ledford says there is at least one instance of the current water quality not deterring wildlife—one pond in particular on the center’s property harbors a surprising diversity of birds. Ledford plans to pave only the roads running through the wildlife center in a bid to keep silt from trickling into nearby streams. Barton says reforestation would also help mitigate the problem of leftover pollution, because trees naturally temper such storm runoff. The ultimate success of the Appalachian Wildlife Center will not be known for years, particularly because landscape modifications will continue past opening day. Ledford plans to measure success by the number of visitors. By 2024, he hopes to have 850,000 visitors annually, but that will hinge on how well the wildlife fares. From an ecological standpoint, reforestation becomes successful when the trees age and foster fungi, along with other life the ecologists did not initially replace—but there is not much precedent for measuring the ecological success of a halfway-native grassland. Franklin notes the field of mine rehabilitation needs more experimentation. She supports reforestation—but there is a lot of land to restore, and very little is understood about what to do besides bringing back trees. If other options were investigated more fully, she says, researchers might find the area can support different kinds of ecosystems—ones that may benefit wildlife and local residents in ways forests cannot. And in Barton’s view, even the wildlife center’s alternative restoration tactic is better than the abandoned sites left by mine owners. “Some management is better than no management, is the bottom line,” he says. *Editor’s Note (7/11/18): These sentences were edited after posting. The originals erroneously identified the Appalachian Wildlife Center as for-profit, and misstated the reclaimed mine area. Will Mines, Tunnels and Drilling Scar Earth Permanently?